This class leading security mesh for windows are retained in an aluminium frame using our patented EGP (Extreme Grip Protection) retention system. This unique design ensures maximum strength and durability through an assembly technique that avoids contact between the two dissimilar metals – a major cause of corrosion over time. 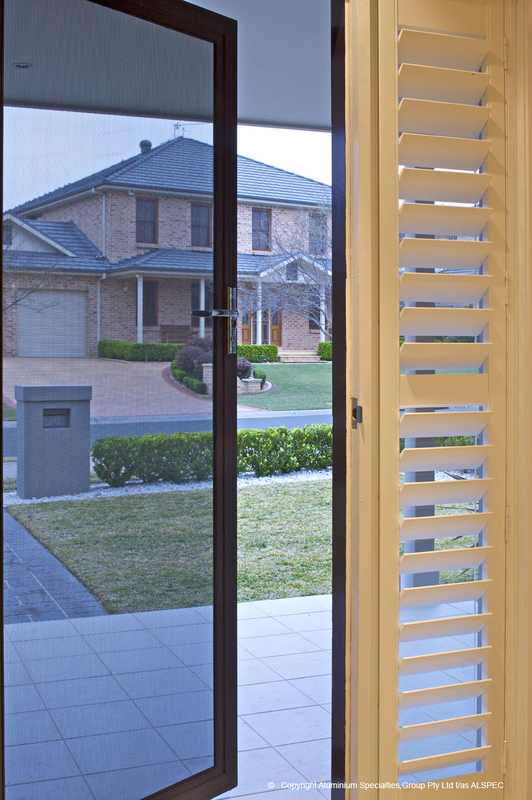 The insect screens in Brisbane also protect your home from flying insects and maintains your view. INVISI-GARD security doors and insect screens are without question the best investment for your family’s safety. They are also the best investment for the look and value of your home. Invisigard 316 marine grade stainless steel security mesh, can be fitted to all standard doors and windows, and comes in a range of colours to suit any decor. It also comes in a range of patterns, providing not just a visual deterrent for intruders, but also a stylish addition to your home. These grilles look great, and they meet the ‘shear strengthas4483.2’ impact testas4483.1’lock and hinge lever testas5039.2003’cyclone ratedas1170.2’fire attenuation as1530.4 and swimming pool safety requirementas1829.1.1993 of the Australian Security Door Standard.